The above info came from mary, and was edited by yours truly (contact me). The image came from Amazon. Basically, in this series, Nyakko's soul gets stolen and her brother Nyatto has to get it back. The art in this anime is so different from other anime that it's kind of like a vacation from normal anime, but at the same time it still feels like anime. 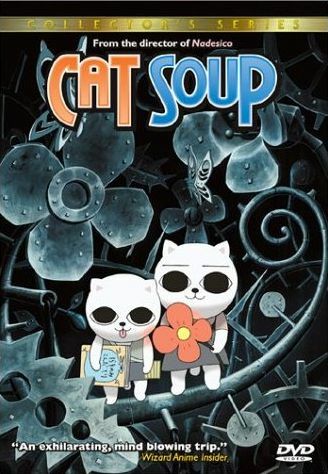 Basically, if you like supernatural-ness and kittens, you will love cat soup. The above description came from mary, and was edited by yours truly (contact me).